The giant automaker, Ford has appeared to follow the new track to create the sensation among the buyers by displaying the concept cars at crowded malls or public places, as Ford Fiesta was exhibited at the Fiesta Café in Saket Citywalk mall, Delhi. On moving ahead following the same course company is showcasing the all new Ford EcoSport crossover at two of the Mumbai malls from 20th January. Presently, this sporty luxury gracing the Infinity Mall at Malad, will last for 25th January. Later, from 27th January it will be showcased in the InOrbit Mall at Vashi. The Design Chief of Ford, J.Mays has said that the concept version of Ford EcoSport will provide a fine idea about its final model that will come with few negligible alterations. The brand new EcoSport Crossover will be first gizmo from the company that will be power-packed with a high-tech & powerful 1 litre EcoBoost petrol engine. This EcoBoost engine compromises of three ground breaking technologies including direct injection, variable valve timing and turbo charging. These technologies enhance the fuel spinning, exhaust gas and power of the engine. 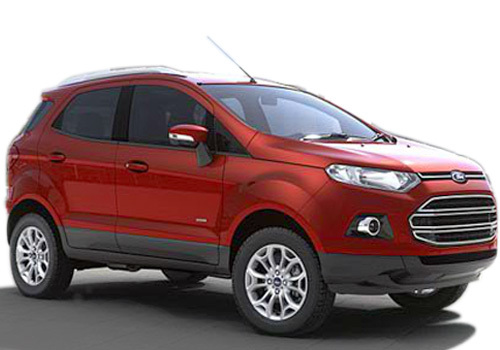 The Indian variant of Ford EcoSport will be featured with the front wheel guise. It may also come in diesel engine variant, but there are no official words for its technical specifications. There are rumours in the air that Ford has developed 1.5 liter TDCI engine especially for the Indian automotive market producing maximum power of 90bhp and torque of 200Nm, which will come equipped with Ford EcoSport. 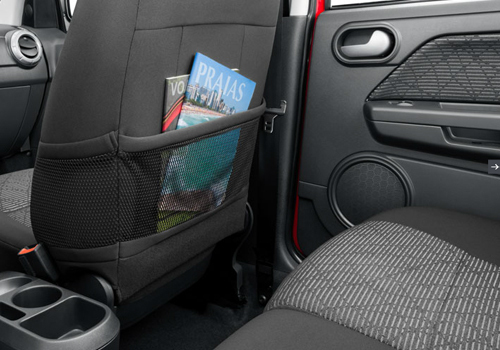 The currently available all the new editions of Ford Fiesta sedan have sharing same engine power.